Convict architect Francis Greenway incorporated his characteristic calotte ‘skull cap’ domes in several projects such as over a stairhall at the nearby Supreme Court (1820-27) in King Street. The Macquarie Lighthouse, South Head (1819, demolished 1883) was designed with domes over linked pavilions, a similar composition to the HPB gate lodges. 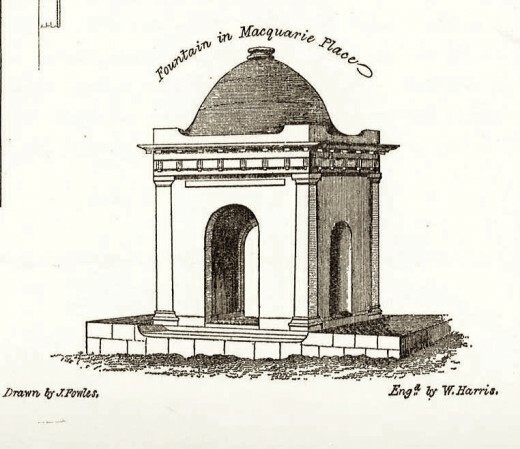 The dome of the fountain, Macquarie Place (c1817, altered 1840s, demolished c1882), emerged from a shaped blocking course or parapet, like those of the Hyde Park Barracks guard houses. Hyde Park Barracks Domes Restoration Project is powered by	WordPress 4.7.13 and delivered to you in 0.478 seconds using 34 queries.